Harvey Arthur “Swede” Parks, 94, died Friday, Feb. 7, 2014, at St. Mary’s in Eureka. He was born Oct. 30, 1919, to Edward and Bertha (Lembcke) Parks in Harlem, Mont. Ed and Bertha came to Montana from Minnesota in 1917. Edward was from Long Lake, Minn., and Bertha from Long Prairie, Minn. Swede went to school in Harlem through the eighth grade. 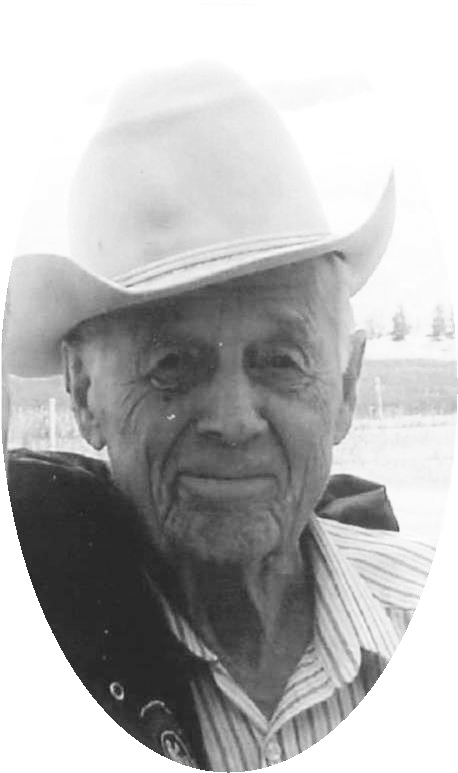 He quit school and started working for various ranchers and homesteaders. On Oct. 5, 1941, Swede married Irene Elizabeth Lohr. She was a beauty operator from Devon, Mont. They moved to Portland, Ore., that same year as Swede got a job working in a shipyard. They stayed in Portland until Swede was drafted into the U.S. Army in 1944. They moved back to Harlem, and he left for San Diego and over to the Philippine Islands. Swede participated in the Luzon Campaign of the Asiatic Pacific Theater, receiving one ribbon and a bronze battle star. After the war, Swede got a G. I. loan for $10,000 to buy the local meat market but couldn’t swing buying the building. He contacted Art Rassmusen and asked him if he would buy the building so Swede could rent the meat market space from him. Art said he would be happy to. Swede ran the meat market for a few years, then sold it. He then started his new sand and gravel business, as well as a small farm. With these two new ventures he kept very busy. He had a few cattle, and to provide enough alfalfa, he put up hay for shares for neighbors during the summer months. Swede eventually sold all those businesses and got a job with the United States Postal Service. This job lasted for about 13 years, as the Postal Service had some major cuts. In the mid 1990s Swede went to work in Parks Hardware in Harlem, owned by his brother Jay Parks. Swede worked there until retiring in 1984. His wife Irene passed away in 1984. Swede continued to live in Harlem, doing some woodworking, which he enjoyed very much. In 1997 he moved to Eureka, where daughter Peggy Gill lived. He enjoyed his new surroundings in Eureka, continuing to do wood working projects as well as lots of gardening. He tilled a large garden up until his passing. He will be missed by those who got to know him. He was a great story teller, gardener, father and grandfather. He was preceded in death by his wife Irene; one son, Larry Leroy; one daughter, Peggy Jean Gill; two brothers, Gerold and Carl; one sister, Orma, as well as his parents. Survivors include his son Jesse Parks and wife Sharon, Conrad, Mont. ; brother Jay Parks of Eureka; 10 grandchildren, including the Gill girls, Penny, Patty and Pam, their brother Paul; two Parks girls, Tawn and Tera; and several nieces and nephews.